As PBS prepares to air his two-part documentary on Jackie Robinson, we speak to Ken Burns about what the baseball and civil-rights legend tells us about politics in 2016. Listen to the Edge of Sports interview with Ken Burns here. Robinson, sure enough, was present at the 1960 Democratic Convention as well as 1964 Republican Convention, and what he saw left him distraught. Jackie was a lifelong Republican because the Democratic Party’s Dixiecrat wing ran his family out of Georgia. In 1960, angered that Richard Nixon ignored his requests to help a jailed Martin Luther King, he considered endorsing John Kennedy and attended the Democratic National Convention. He also had friends telling him that this senator from Massachusetts was serious about civil rights. Yet Kennedy was still trying to hold that Dixiecrat coalition together and sat segregationist Governor of Arkansas Orval Faubus on stage. Robinson walked out in disgust. While Jackie Robinson was trying to find a political home, a new generation of black activists were not waiting for the two-party system to catch up with their demands. Many of these movement leaders classified Jackie as an “Uncle Tom,” and Ken Burns explores this painful part of the story as well: the debates with Malcolm X and the Panthers and Jackie’s own despair at the state of the nation. This searing documentary about Jack Roosevelt Robinson is the best antidote to the Donald, the Bill, and all practitioners of the politics of racial division. 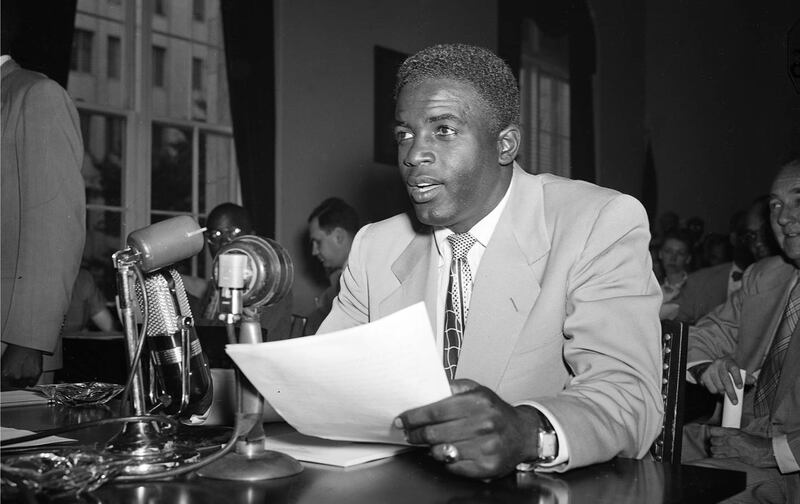 As Ken Burns said to me, “Jackie Robinson is the apostle of our better selves and is the apostle of the better angels of our nation.” And he becomes this apostle by being presented as three-dimensional, anguished, and all too human.